For Seasonal/Summer: complete our Online Application. For Year-Round Positions: Please send cover letter, resume, and 4 references to hr@camphighhopes.com or mail to Camp High Hopes – Human Resources, 5804 Correctionville Road, Sioux City, IA 51106, or fax to 712-224-2269. 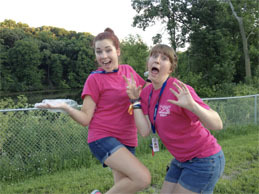 For Volunteer Positions: download and complete a Volunteer Application and send to info@camphighhopes.com, or mail to Camp High Hopes – Volunteer Coordinator, 5804 Correctionville Road, Sioux City, IA 51106, or fax to 712-224-2269.